A question that’s hotly contested among enthusiasts has finally made its way to our blogroll! Good! Let’s see what we can do to stoke this fire! What’s the best engine you can get for your classic Land Cruiser build? The ones we offer, of course: the F, 2F or the 1FZ. But, consider this: the engine is only part of the powertrain equation. What you pair it with, from the transmission, to the fuel delivery system to the tires, can affect your ride’s overall capability and performance. And our sales team is happy to walk our clients through those all-important decisions – but more on that later. 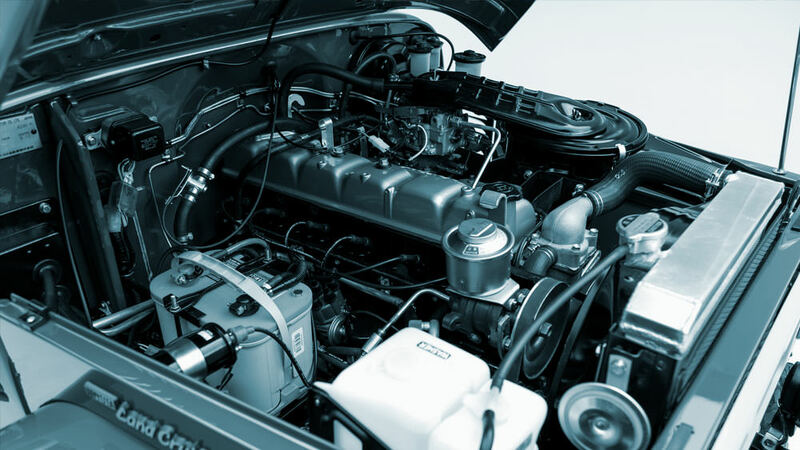 For now, let’s meet the heart of this operation, our lineup of ever-capable and reliable classic Toyota Land Cruiser engines! The original F engine powered its way onto the scene in November of 1955. It boasted 23% more horsepower than previous Land Cruiser engines and quickly became known for its ability to generate high torque at lower rpms — an advantage many of our clients appreciate out on the trail. One of the things you can’t help but notice about this engine is its large cast-iron block — just one of the reasons these engines were thought to be nearly indestructible. Some even claimed that Toyota’s F engine would run for 500,000 to 600,000 miles before finally calling it quits. And we believe it! 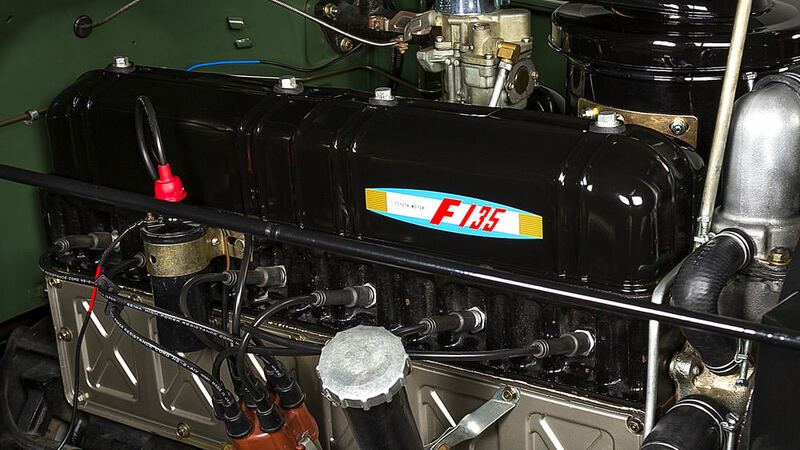 Like many other classic engines, the F uses a carburetor to deliver fuel into its cylinders. The great thing about a carburetor-based system is that it keeps things simple and doesn’t cost as much to install as modern fuel injection systems. The carb-based systems are less powerful and less efficient, but for those seeking a stock setup, you can’t get more authentic than the original. Great for: Off-roading, driving around town, highway driving (with the 5-speed). Over its nearly 20-year production period, the original F engine saw many improvements. It seemed to only to get better over time. Yet, it was also morphing into something else – the larger and more powerful 2F. 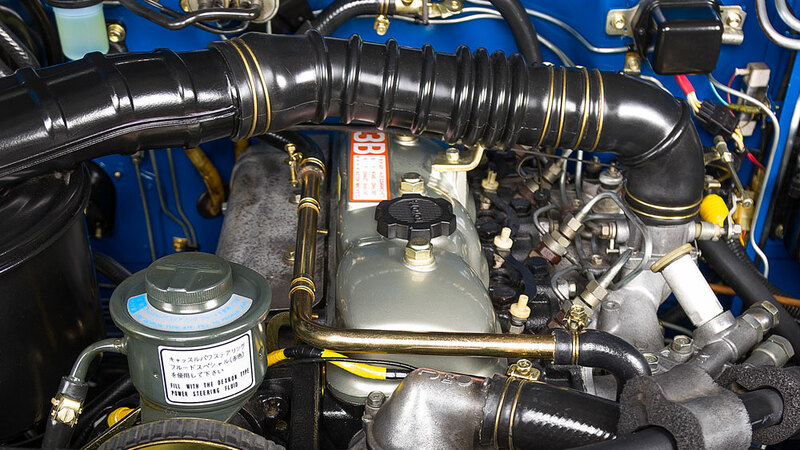 The 2F engine was first installed on the newly developed FJ56V – and other models followed. 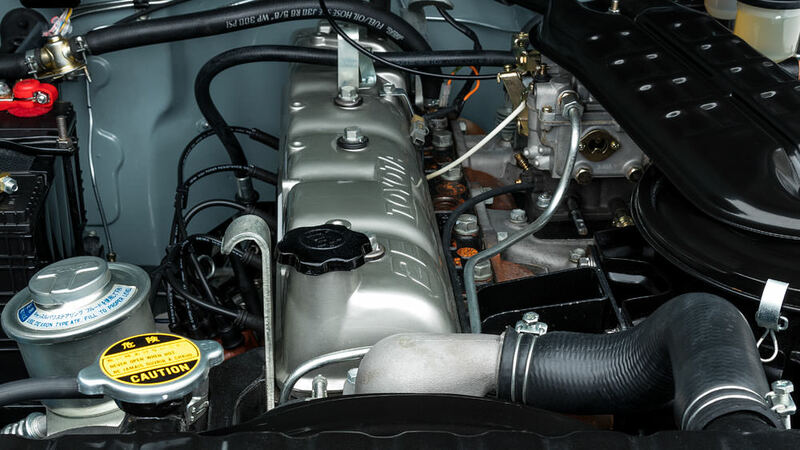 This was an engine that would give Toyota’s larger 4×4’s a much-needed boost in horsepower, and it arrived just in time to power up the FJ45 troopy, which debuted in Australia in the mid-seventies. Look closely at this engine and you’ll notice that the steel fan of the original F engine has been replaced with a plastic fan, but the cast-iron block is still present. However, while the 2F engine is bigger than the F, it’s also more efficient and its parts are more readily available and easy to replace. The stock Toyota 2F engine was equipped with a carburetor. However, if you’re restoring your Land Cruiser with us, you can always opt for the Electronic Fuel Injection System from Haltech. With the Haltech Platinum Sprint 500, you’ll have the programmable fuel injection, which is said to increase efficiency and performance 10% to 15% on a Toyota 2F engine. Apart from that, you’ll experience better performance in high altitudes and challenging road conditions. The Toyota 1FZ is made its U.S. debut under the hood of the Land Cruiser 80 series. 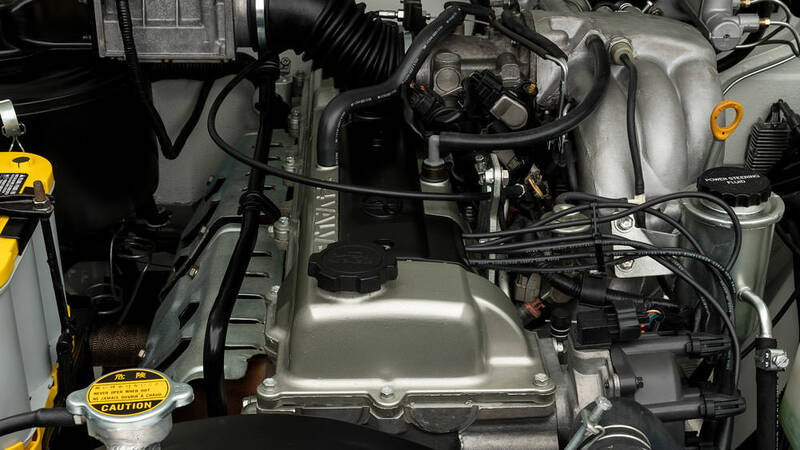 Like the F-series engines that came before, it has the cast iron engine block, and carries on Toyota’s tradition of extreme durability and reliability. It is one of Toyota’s biggest inline 6 engines. The stock 1FZ engine was equipped with a Fuel Injection System from Toyota. However, at The FJ Company, you get an Electronic Fuel Injection System (EFI) from Haltech – making this engine/EFI combination a popular choice for those who want the kind of confidence a modern powertrain inspires – on the road or on the trail. Many of our Land Cruisers were not equipped with this engine originally. However, it’s more powerful and efficient than many of the other engines we offer. And, you have a choice between a 5-speed manual transmission or an automatic transmission with this one (and we know some of you really want that automatic). Now you can indulge in the classic good looks of our of our early Land Cruisers, with all of the capability and convenience of a modern powertrain. As you can see there, are a few engines missing from this list: the diesel-powered H series and B series engines that were popular overseas, the 3F, and countless others that came on the scene later on. While we may not have highlighted them here, our team has worked on other builds that featured these engines — just check out this BJ46 Land Cruiser project and others from the Land Cruiser 60 series and 70 series. As you long as your preferred engine stays true to the heritage of the classic Land Cruiser, and is compatible with the build you’ve chosen, we’re game. Ready to build your own family-friendly beast? Customize a classic Land Cruiser with these features today! next post Should I get a US-spec or a non-US spec Land Cruiser? Hi Kevin, we do not sell the engines separately - only with a full restoration. Best of luck with your project! So will you take my FJ40 and restore it? If so will it cost less than buying a new one from you? Hi John - this post should answer most of your questions related to this: https://www.fj.co/blog/contract-restoration-services/. For any other questions, please email us through our contact form. Thanks!